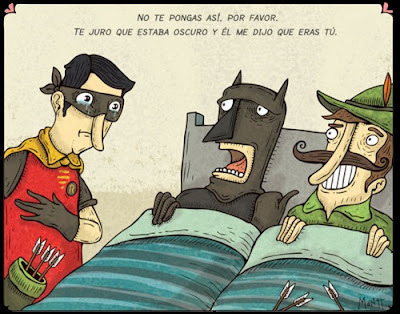 Here's a post of random BATMAN AND ROBIN Humor Photos and Comic Strips that are pretty funny. The 1st one is the Republican Presidential Candidate Michele Bachmann. ( No, we are NOT endorsing her, it's just a funny Batman-related parody photo ). 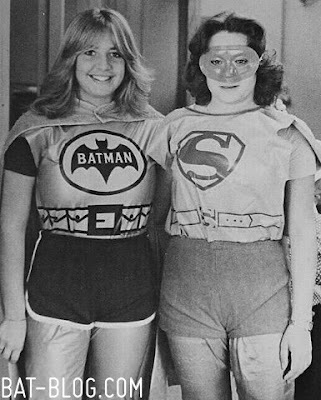 The next pic with the 2 girls in costume is a photo I found awhile back on the internet and it didn't explain what it is. It might have been a photo used in an advertisement or from a High School Yearbook, who knows? But it's kinda funny. Actually, I think it's more cute than funny, ha! The last 2 graphics are obviously "Comic Strips". The 1st one was from a foreign website & I have NO idea what they're saying but if you study the image you can kind of figure it out, ha! 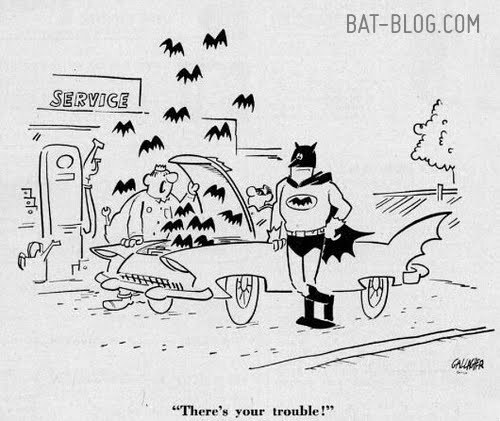 The last one is from the 1960's & appeared in a Vintage Paperback Book from around the time the '66 BATMAN TV Show was on. I forget the name of the book, I think it was "BAT-LAFFS", or something like that. I love the retro-style artwork and the Batmobile looks cool too, ha! Have you recently seen a funny Batman Photo or Parody? If so, then please share it to us. Our email button is always at the top right-hand side of this page, thanks! 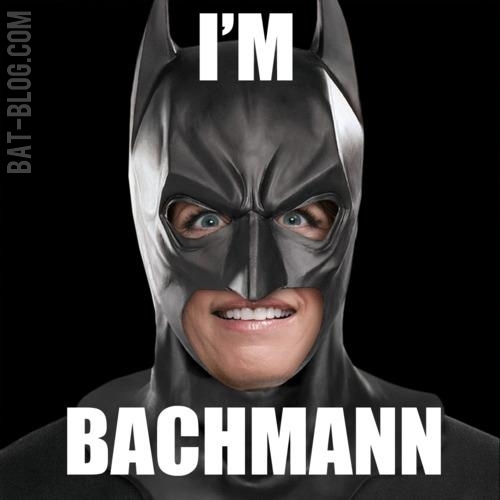 And who's crazier, Bachmann as Batman or Frank Millers Batman in All-Star Batman?